Thailand has a tremendous reputation for religious and spiritual tattoos dating back hundreds of years and while tattoo trends have changed, we at All Day Tattoo are proud to uphold the highest standards of this wonderfully artistic tradition in the heart of Bangkok. Tattoos have probably been around as long as human beings have walked this earth. 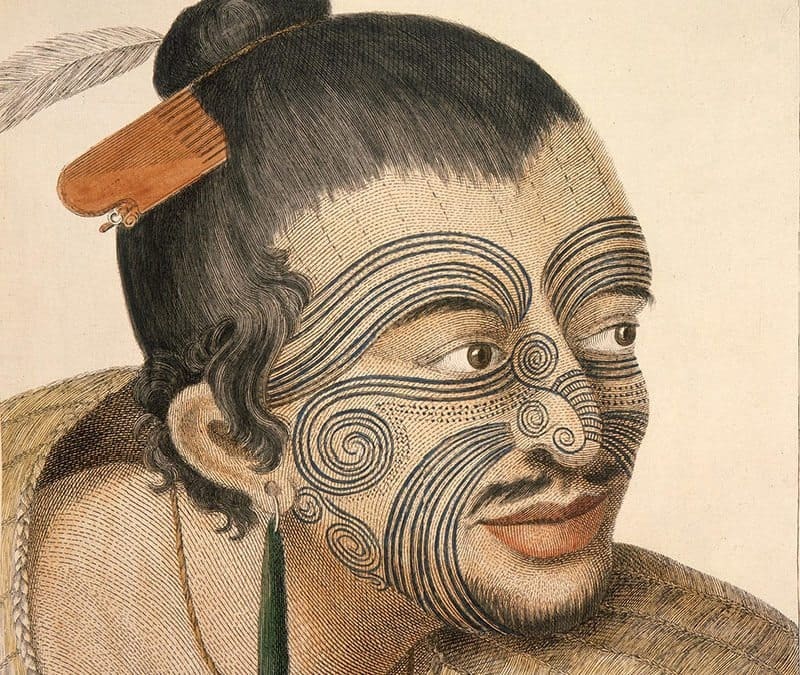 Although the word itself is derived from Polynesian “’ta‘ – meaning ‘to strike‘, and the Tahitian ‘tatau’, meaning ‘to mark‘, it is generally accepted that tattoos were in use in prehistoric times. Mummified remains of a 5,300- year old man with 57 tattoos all over his body were discovered in the Alps in 1991, and there is considerable evidence to suggest that drawings of prehistoric tribes in Japan dating back more than 10,000 years show tattoos on their bodies. Indeed, throughout the millennia, the practice of Tattooing has gone in and out of fashion countless times in different cultures and at different times in history – some for aesthetic reasons, and sometimes for bad reasons. Most of us are probably aware of the Nazis’ infamous practice during the Second World War of tattooing numbers on the inmates of concentration camps, but on the other hand we have all seen the wonderful pictures of grizzled sailors returning from faraway shores bearing strange nautical symbols and mermaids on their arms; or maybe pirates with a skull and crossbones tattooed across their chests; or Thais and Cambodians bearing mystical or religious symbols on their bodies for protection against evil spirits, or would-be attackers. Then there are the tattoos of street gangs, the criminal gangs, the prison inmates, the biker gangs and so on, not forgetting the South Pacific Islanders who gave us the word itself. At certain times in history, tattoos have not just been the preserve of the ‘uncivilized’ and the ‘criminal classes’. For example, in the late eighteenth century, tattooing became quite popular for a while amongst the aristocrats of Europe; while over in Japan, many of the post-WW2 younger generation embraced the practice. But the change from being largely a subculture to a pop culture has really only taken hold over the past decade or so. For the post-war ‘baby-boomer’ generation, the art of tattooing was still a minority fad. Nobody turned an eye when someone had a single tasteful rose or heart on their ankle or shoulder, but people who had numerous visible tattoos on their bodies were regarded as a bit wild, and they would often struggle to be fully accepted into conventional society. Can you imagine – only fifty years ago there were barely 500 tattoo studios operating in the entire United States, yet by 1995 that number had grown to an astonishing 10,000. And the real boom had hardly begun. Latest figures suggest that in 2013, there were 21,000 studios in the USA and the annual amount spent on tattoos exceeded $2 billion. So when did tattooing really start to become totally mainstream and achieve the status of pop culture? As best as we can guess, it probably started around 2005. This was the year that the tattoo industry stepped out of the shadows when the TV show, ‘Miami Ink‘ first aired on the US TV networks. With the show’s unique mix of charismatic tattoo artists, Miami Ink’s stars soon became nationwide celebrities; and the transformation from subculture to pop culture was well on its way. The shows were highly entertaining, and they opened up a whole new world of amazing and creative art to a tattoo-ignorant public, who became captivated with the skills of the often talented tattooists featured on the show. The show ran for six seasons and has been shown in 160 countries. As is the way with TV, after the success of Miami Ink, a host of copycat tattoo shows sprang up, the most popular of these being Ink Master and Best Ink which also became major hits across America. Others include America’s Worst Tattoos, Bad Ink, Best Ink, Tattoo Fixers and many more, with several popular local spin-offs aired in the UK. Then there were the celebrities – people like footballer David Beckham, who famously had Brooklyn imprinted in gothic script across his back in 1999, and has since followed up with many more famous tattoos. Another celebrity ‘pioneer’ was probably Jimmy Gulzar, ex-husband of the Spice girls’ Mel B, and in the UK, there was the late and great Amy Winehouse, who had her first tattoo around 2005 and proceeded to add a tattoo to her body almost every week. The craze had well and truly caught hold and it wasn’t long before the likes of Angelina Jolie, Rihanna, and Lady Gaga were sporting striking new artwork on their bodies. There then followed an avalanche of stars; singers, models and actors such as Adam Levine, Miley Cyrus, Kesha, Demi Lovato, Nick and Joe Jonas, Zayn Malik, Lily Collins, Shawn Mendes, Paris Jackson, Selena Gomez, Ellie Goulding, Sofia Richie, Bella Thorne, Justin Bieber, Ed Sheeran, Jennifer Lawrence, Katy Perry, and Kristen Stewart are simply a few of the multitude of superstar names who openly and proudly display their multiple tattoos. The rise of the tattoo pop culture more or less coincided with the explosion of social media and the widespread use and availability of the internet. The tattoo artists on TV shows soon gained cult status with millions of followers. Many of these followers would also follow their heroes to the studios and join the burgeoning tattoo generation. Additionally, the widespread use of the internet has allowed the tattoo industry to grow exponentially. Tattoo-lovers the world over have joined together to view and share their latest custom designs – all of which is taking the industry into new and exciting directions. Excuse the pun – I’m not talking about the tattoo process, I’m talking numbers. Tattoos have become an indisputable part of our western culture. 23% of Americans now have a tattoo, and the ‘penetration’ increases to 36% of those in the 18-25 age groups. It is a similar situation in the UK where one in five people now have a tattoo, with the ratio increasing to one in three amongst young adults. Whether you like it or not, if you are aged between 18 and 35, the demographers have labelled you as a millennial. And as a millennial, you might be interested to know that roughly 40% of your fellow millennials already have at least one tattoo. Even more interesting is the fact that about 20% of millennials have between two and five tattoos and a staggering 18% of you have six or more. So what is it about millennials and Tattoos? In bygone days, most people regarded tattoos as a form of rebellion against authority or the establishment. It was a youthful statement of independence from the straight jacket that society tries to put us in. But these days there is virtually no stigma attached to having a tattoo, and sociologists believe there is something deeper at play. Life for most millennials has undergone a fundamental change. People rarely stay at a single job for more than four years, conventional religions and beliefs have dramatically declined, traditional family life has broken down; and even physical assets that we treasured in the past, such as homes and cars, are at best, transient and for many have ceased to exist at all. The result of all this is that we are continually searching for our own distinct and unique identities in an ever-changing world that is so chaotic, often unjust, and frequently violent. Tattoos can provide us with an ‘anchor’ that helps us understand who we are. They are so versatile that we can do with them what we will. It is now possible to get highly realistic and customised tattoos imprinted on our bodies that may represent people, places and memories that form part of our life. They make up our personal story – our very own myth. We can create these identities both online, (via social media), or in the real world by inking our bodies. The permanence of our tattoos gives us that feeling of stability that we crave. Tattoos in Bangkok and All day Tattoo. If you are in Bangkok or are thinking of making a trip here, how about popping into one of the most innovative and impressive art studios in South East Asia, and see what we can offer. The artists at All Day Tattoo create the most amazing designs and in many ways we set the latest tattoo fashion trends in this part of the world. So whether you are having your very first tattoo or you wish to add to your growing collection, our helpful and knowledgeable staff will help to steer you in the direction you wish to go. Indeed, the folk at the influential Bangkok Expat Life have put All Day Tattoo at the very top of their list of the best Tattoo Studios in Bangkok. Remember, it is not only a question of getting the best possible design on your body – it is also a question of whether your latest tattoo will fit in with your existing tattoos. Assuming that you are not an art director, there is a distinct possibility that you may not be an expert on what new work of art will fit in with what you have already imprinted on your body. You may well have some great tattoos on your body, but they might not look as good as they should, simply because they do not complement one another. So whether it is your first, or the latest in a series of tattoos, you can be assured that we at All Day Tattoo can advise you whether the new addition will fit in well with those already on your body. We will help you to ensure that the finished product will really be ‘you’ and complement your life statement. It is always our objective to give you the best possible advice on what will suit you and your body and uphold our reputation for quality. We have no problem turning away work if we honestly don’t feel it is in your best interest. This is what we believe truly makes us the best tattoo studio in Bangkok for your needs. To chat to one of our friendly and knowledgeable artists, click the button bellow for your free, no-obligation personal consultation.